Discussions about the future often relies on what the general population experiences. In aviation, there’s an entire system behind what people see when they step into the Austin-Bergstrom Airport. Air traffic controllers guide and redirect flights, pilots re-route to save fuel and time, flight mechanics continuously monitor engines and equipment to keep people safe. At GE Aviation Digital Solutions, every day we lift that curtain to solve aviation’s toughest challenges. One of the key methods that enables us to solve problems is the Design Discovery Workshop. Now, we want to share our learnings, taking people through our discovery workshop and demonstrating how we use design to frame the problem and extract user insights to solve problems in this challenging industry. 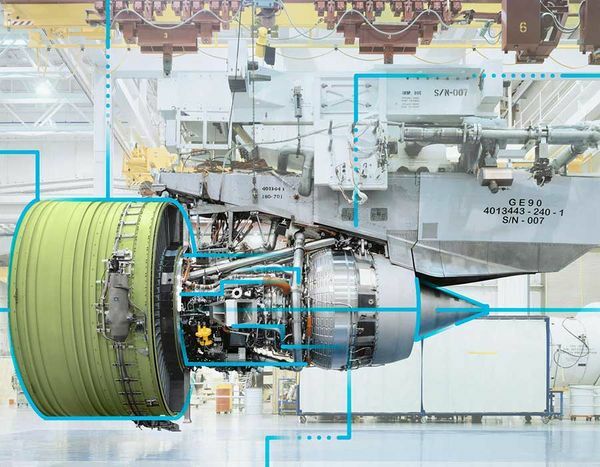 This workshop will begin with a brief presentation on GE Aviation and what connectivity means for this industry. We’ll then break people into groups and practice Design Thinking methodology. We’ll identify the challenges facing the industry, empathize with the user, choose a problem, and sketch and ideate the solution. Participants will leave with better understanding of what we do and how to use apply our methodology in their own practices. As an interaction designer, Maggie untangles ambiguous problems to create impactful solutions that balance user experience with customer needs. She has experience working in a variety of industries, including finance, aviation, healthcare, and technology as in either product or consulting. Currently, she balances both titles as a user experience designer on the GE Aviation Digital Services Team where she works with Data, Design Thinking, User Experience, and Software-as-a-Service capabilities to solve aviation’s toughest challenges. GE Aviation is a world-leading provider of commercial, military and business and general aviation jet and turboprop engines and components as well as avionics, electrical power and mechanical systems for aircraft. At Aviation Digital, we’re bringing together that deep domain expertise with our best-in-class analytics, design, and engineering to create software solutions for the modern era.